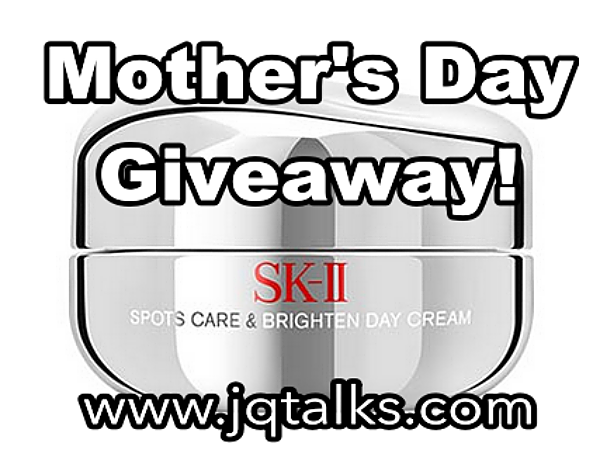 JQ Talks: New Limited Edition SK-II Facial Treatment Essence + Mother's Day Giveaway! 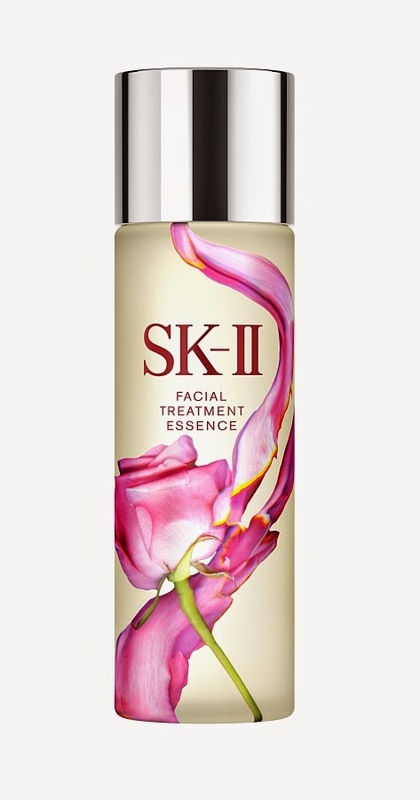 New Limited Edition SK-II Facial Treatment Essence + Mother's Day Giveaway! SK-II unveils a brand new limited edition design of Facial Treatment Essence in collaboration with award-winning artist Po-Chih Huang. This exclusive design features an enchanting tapestry of pink roses wraps the limited edition bottle, making it the perfect gift for every woman on her journey to #ChangeDestiny. The prints represents an aspect of beauty - Love. Pink Rose is a flower traditionally associated with love and it's picked by Huang as a gentler expression of affections and tenderness - much like the relationship between the gift-givers and their loved ones. The design speaks of heartfelt appreciation and gratitude and tribute to the woman who is a pleasure to have in company. With long term use of Facial Treatment Essence, it's possible to beat your skin risks posed by your DNA and keep skin looking crystal clear in your 30s, 40s and 50s. Containing over 90% Pitera, the Essence harnesses this unique ingredient to transform your skin destiny beyond what you are born with. This limited edition FTE is available for a limited time at all SK-II counters in Malaysia from 1 May 2015. In conjunction with Mother's Day, I'm giving away a Full Size SK-II Whitening Spot Care and Brighten Day Cream (25g) worth RM452*. 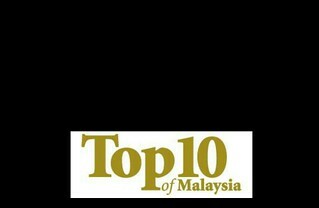 More information on this product, visit SK-II website. It's easy to join! Contest starts on 2nd May 2015 and ends on the 17th May 2015, 11.59pm. Winner are required to collect from me personally or send a representative. Postage can be done but winner will have to bear the shipping cost. Tell me why do you have the best Mom in the world? I have the best Mom in the world because she is my listener and my close friend. We share our problems almost anything and sometimes we have pillow talk before we sleep. She is also a mother of 3 and she is a superwoman because she works in the day time and yet she does housework when she is back home from work. I always salute her for being so strong in handling this family. Thank you mummy! I love you always! My mum has inherited the ability to spread her wings just like a guardian angel to lead me to fly free and high above the ground to reach for my goals that I have long for the ability to cut off the constraints that are tying me down. Thanks her for bringing me to this world. She are the Ruby of my life because her unconditional love are irreplaceable, asking nothing in return but our well-being. Her Love & Sacrifice caters for our everything. I am so proud to be a mother as well, Because I have the power to nurture life, To be a beacon just as my mom was. Although we are separately from deep South China Sea but it doesn't make us lost connection from each other. I hope we can see each other very soon, looking forward to our next reunion day. I love her very much and Happy belated Mother's day to her. What's the best of SK-II for our skin,looking good and build our confidence is similar of my Mom's love onto me.She is always the superb mom and hero in my heart.We are close friend for each other.No one can give a love as her use to do for me in a world. I will love and respect my mom forever. Being a mother is a tough job. Being a mother and working at the same time is harder. She has managed to do both well. Mom, she is so many things. She is my friend, sister, chef, comedian, protector, chauffer, and ultimate teacher. She’s an all-in-one package deal. Even though she couldn’t fly or warp whenever she wants to, she is stronger than Superwoman. She just knows everything. I just call “Mom”, everything will be alright. She goes on a shopping and when she is back all she has is stuffs for me and the family. She is a King Kong. She can carry two 10kg bags of rice and one bottle of oil (5 litres) up to home. The older I grow, the more I realize that my mother is the best. Undoubtedly THE BEST MOM in the World deserves only the The Best Skincare in the World..
She knows a hundred different ways to handle housework. She cooks more heavenly than any other chef. She protects me from anyone who tries to take advantage of me. She shoulders the burden of take care 3 of us without sweat. She leads me towards the right path of life. She is more than just a mom, she is my soulmate who knows me inside out!